In 2013, 16-year-old Ethan Couch killed four people while drinking and driving, injuring many more. He was sentenced to 10 years probation rather than jail, but violated the terms. He and his mom absconded, but were eventually caught when Couch ordered Domino’s Pizza. He has just been released after serving two years in jail. 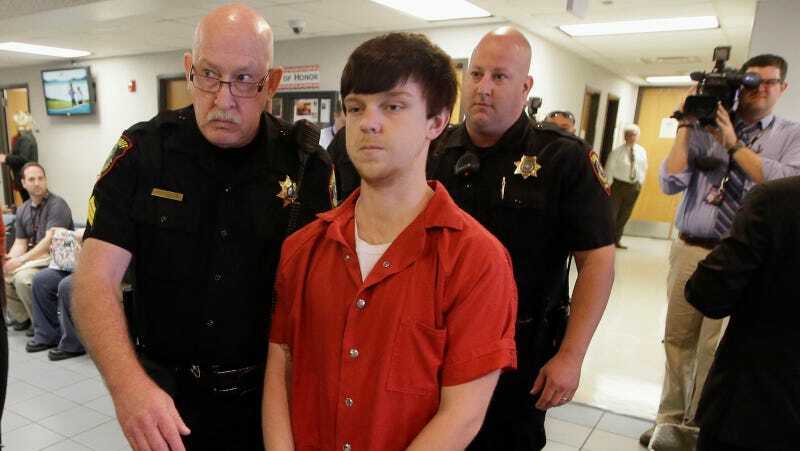 Couch’s original sentence sparked outrage in his community, but the defense that his parents had spoiled him to the point that he didn’t known right from wrong, or “affluenza,” initially protected him. Then he got busted drinking on camera and was eventually, finally, jailed. NBC News reports that Couch was released Monday, and will be forced to wear a GPS- monitoring device. His probation includes a curfew—he must be at home from 9 p.m. to 6 a.m. and is not allowed to drink. USA Today reports that Couch’s mother was arrested on Wednesday after failing a urine test for drugs, which violates the conditions of her probation for running to Mexico with her son in an effort to avoid any kind of punishment for him. It’s worth noting that Couch is in the same Texas county as Crystal Mason, who was just sentenced to five years in jail for violating her parole by voting. Her probation was over a tax fraud conviction, not manslaughter.